The proposal by Councilman Alex Wan to force out adult businesses along Cheshire Bridge Road (CBR) through an amortization process was voted down by the city council on Monday in a 6 to 9 vote. Amortization is a severe method of forcing zoning compliance and should only be used in extreme circumstances. A strong argument can be made that amortization along CBR is needed not just for that area to grow and develop into a healthy, walkable neighborhood, but for the city as a whole to develop into a more vibrant and walkable urban area. The idea that using amortization will set a negative precedent may be overstated. CBR’s unique circumstances make amortization more reasonable for that area and less reasonable for other parts of the city, so it is unlikely this will lead to a rampant use of amortization. An initial distaste for the amortization process shouldn’t cloud the realistic need for positive redevelopment along the CBR corridor and in many other parts of the city. If you are unfamiliar with the issue, here is quick recap. 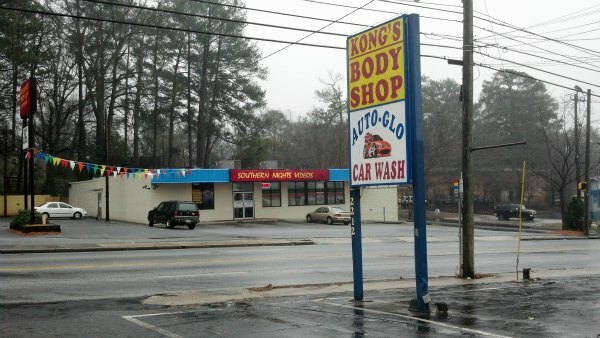 In 2005 the Atlanta City Council amended the zoning code to create the NC-5 zone, which prevented adult businesses from locating in the CBR corridor. However, adult businesses were grandfathered-in as legal non-conforming uses. The NC-5 zone is designed to create a more walkable neighborhood and the Council felt adult businesses did not promote the goals of the new zoning. Councilman Wan introduced new ordinances designed to force out the adult businesses through the process of amortization, which gives legal non-conforming uses a set period of time for them to either conform to the zoning or cease operation. On June 3, the city council voted down the proposed ordinances. Residents of Atlanta have a decision to make: do we continue to be an auto-oriented, sprawled out city or do we increase density, mixed-use, and walkability? The rest of the country is in favor of the latter. A recent report by the Urban Land Institute (via the Atlantic Cities) found that among members of Generation Y (those born roughly between 1980 and 1990), 76% want to live in walkable neighborhoods. A 2011 report by the National Association of Realtors found that 75% of homebuyers want to live within walking distance of a grocery store. This is all homebuyers, not just young people. A walkable neighborhood promotes health and quality of life. People between the ages of 50 and 71 who took a brisk walk every day had a 27 percent reduced death rate than those that did no exercise. Other cities are making the necessary adjustments to not just attract more people, but to enhance the quality of life of current residents. This isn’t just about changing Atlanta to adapt to what outsiders want; it’s about changing Atlanta to increase the quality of life of current residents. If Atlanta is going to do this it has to be a city-wide effort; we must allow ourselves to make the necessary changes in the most sensible parts of the city. A great way to figure out where people want to live is to look at where they move when the move is not dictated by employment. A 2011 study by the Brookings Institute looked at the best cities that attracted 25-34 year old’s before and during the 2008 recession. Prior to the recession Atlanta did well at “attracting” this demographic, ranking third on the list. But during the recession it fell 23rd. This indicates that people moved to Atlanta because they got a job here, not necessarily because they wanted to live here. Once the recession hit, the cities that attracted the most people in this demographic were Denver, Dallas, Houston, Seattle, Austin, Washington, and Portland. This list isn’t all that shocking. Seattle, Austin, DC, and Portland have vibrant, dynamic, walkable neighborhoods. 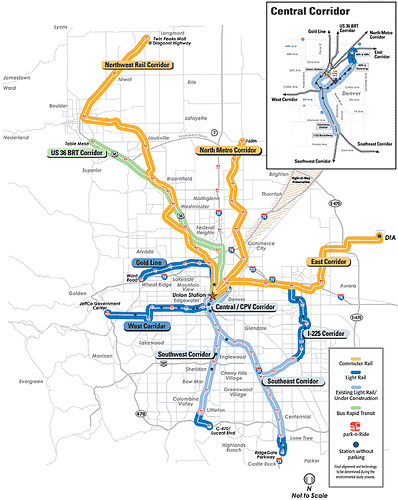 Denver and Dallas are both heavily investing in light rail and streetcar networks and reforming land use to create and sustain these types of neighborhoods. My previous post showed these cities continued to experience rapid growth over the past two years. Atlanta may be able to attract people due to the low cost of living and the business-friendly environment, but how great is a community when people move here not because they want to, but because they have to? Walkable neighborhoods only become more expensive when desirable residential development is restricted. The neighborhood-rating website Walk Score, which analyzes the walkability of a neighborhood based on the number of destinations within a certain distance, showed that an increase of 1 point in a neighborhood’s score is associated with a $700 to $3,000 increase in home values. 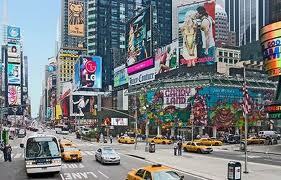 An increase of 10 points increased commercial property values by 5% to 8%. This indicates the strong demand for walkable neighborhood. It also indicates the ease at which people can be priced out of this type of neighborhood. Fewer walkable neighborhoods mean more expensive walkable neighborhoods, thereby restricting access to only the wealthiest. The stats clearly bolster the argument that making CBR more walkable, and thus more desirable, will lead to gentrification and all the negative consequences associated with gentrification. The possibility that not just potential residents of walkable neighborhoods will be priced out, but also existing residents, is a very real concern. But the solution to this potential problem is not to avoid enhancing the neighborhood out of fear of displacement. The issues should be dealt with separately. We should enhance the neighborhood and make it more attractive to future residents, while also protecting current residents. This could be done in a multitude of ways including affordable housing requirements and government subsidies. Refusing to enhance the quality of life in a neighborhood out of fear that it will attract wealthier people is incredibly short-sighted. A great neighborhood should be diverse in all aspects, including socially and economically. Wealthier people will certainly move in if you make a neighborhood more desirable, but we shouldn’t focus on preventing neighborhood enhancement; we should focus on what we can do to create and maintain economic diversity among residents. The NC-5 zoning plan for CBR doesn’t really address transportation or density to a great extent, but it does call for adapting uses to create a more pedestrian-friendly environment. Promoting neighborhoods that cater to the human and not to the car is a giant step forward for Atlanta. Wider sidewalks and street-front retail (instead of street-front parking lots) is a great way to encourage pedestrian activity. Perhaps this leads to less auto-dependency in the area and reduces some traffic. Eventually more mixed-uses can develop in the area and density can be increased. The first step to higher density is providing more transportation options, including the most basic form of transportation: walking. Promoting walkability is an important step in the process of creating much-needed dense, vibrant Atlanta neighborhoods. CBR between Piedmont and Lavista/Lindbergh is a vital corridor primed for development. It’s a four-lane road next to a freeway and sandwiched between fairly dense neighborhoods (CBR/Lavista and CBR/Piedmont/Monroe). On a larger scale it also acts as a transition zone between the denser area that runs from Piedmont /Lenox down to Piedmont/Monroe and the largely single-family home area that is Morningside. The city needs to accommodate growth and spurring development in an area that connects more highly-developed areas provides little disruption. A more pedestrian-friendly CBR could provide guidance to the surrounding, more highly-developed areas that are still auto-oriented. In addition to great location, area residents want change. The NC-5 zone was created with extensive community input and residents broadly supported Alex Wan’s proposals. In identifying places that could best accommodate increased density in order to provide residences to newcomers or existing residents, CBR is near the top of the list. adult businesses from CBR doesn’t mean the area will necessarily develop into a generic neighborhood full of yuppies. The possibility of that happening shouldn’t prevent improving the quality of life. Obviously CBR now is not exactly Times Square of the 1980s, but comparisons can be drawn in thinking about redevelopment. It may be disappointing to lose an iconic part of the city, but the loss is probably worth the economic and social gains. Booting adult businesses isn’t necessarily about regulating based on morals; legitimate economic and sustainable development goals can be achieved through the elimination of adult businesses. A major problem with adult businesses is that most activity usually occurs at night. This means that for the majority of the day, there isn’t much activity. When you group a bunch of businesses like this together, an entire block or commercial district is silent for the majority of the day. A dynamic, vibrant neighborhood is one that promotes activity throughout the day – people should be interacting with the built environment constantly. This shouldn’t be seen as the eradication of adult businesses based on distaste for their product, it should be seen as the promotion of a diverse group of businesses that will generate activity throughout the day. Adult businesses serve a legitimate purpose by providing desirable services, but at this point in time, in this particular place, they may be harming the development of a vibrant neighborhood. Let’s start by just saying that zoning is a good thing. It allows the community to ensure a factory or coal mine does not locate on the lot next door to a daycare center. It provides some type of basic organization designed to enable the use of a piece of land in an enjoyable manner. The desires of one land owner need to be balanced against the desires of everyone else and a general scheme is needed to promote the most satisfaction. This means, inevitably, almost everyone will be upset at some point, but we have decided this is acceptable because the benefits of zoning are so great. The ability for government to dictate what people can do with their land was first upheld in 1926 by one of the nation’s most conservative Supreme Courts (Village of Euclid, Ohio, et al. v. Ambler Realty Co., 272 U.S. 365 (1926)). This is the same court that struck down almost every piece of federal legislation that attempted to regulate any commerce. Despite differing views on politics and government, we realize that some government regulation of land use is often needed to spur valuable economic and social changes. The City of Atlanta created a plan through extensive neighborhood involvement to achieve broad satisfaction and this plan needs to be realized. Atlanta needs to become denser and more walkable – it needs to provide more places for people to live conveniently. If we don’t, people either won’t move here and we can join the ranks of Cleveland and Buffalo or they will live in suburban developments and create more sprawl, traffic, and pollution. This is a city-wide effort. The city must become denser and provide people places where they can do basic activities without the use of a car. We can’t say we want denser neighborhoods, more sidewalks, more mixed-use development, and more walkability but refuse to let that happen to certain neighborhoods because we don’t want those neighborhoods to change. We do need to preserve our history – it’s charming and creates character. But we also need to accept change and allow our city to adapt to different needs. Amortization allows this sensible and necessary adaptation to occur along CBR. The amortization method seems like government gone mad, but we should weigh the costs and benefits before we dismiss this as too Orwellian. What is the point of having a zoning code and planning our neighborhoods, if we can never really achieve the goals? Considering the zoning changes along CBR have been in place since 2005 and nothing has changed, something extra is probably needed. Georgia allows legal, nonconforming uses to run with the land (Henry v. Cherokee County, 290 Ga.App 355 (2008)). This means that a business could change hands and still operate in a non-conforming manner. So a zoning plan may never actually be realized. Amortization allows the government to dictate the use of the land and avoid a takings or due process claim. But it must be done in a reasonable manner so that the burden on the landowner is not so substantial as to outweigh public benefit. Alex Wan’s proposal gave the non-conforming uses until 2018 to conform or cease. As applied to retail or services, five years seems to be a reasonable amount of time to reap some profit and settle debts/contracts prior to closing. Many of the non-conforming uses have been in operation for many years now, so it’s reasonable to expect they have had time to see adequate return on investment. Considering the need to redevelop the area and the ability for businesses to recoup their investments, amortization may not be so bad. Every time the city uses amortization to mandate conformity, they are likely to see a lawsuit. Amortization requires the city to set a reasonable time frame for conformity based on a number of factors including the type of businesses involved, how long the businesses have been in operation, the extent of their debts, and their initial investment. If a business just opened and it invested tens of millions of dollars, the city better make the time frame for conformity pretty long to better ensure the business owner can recoup a good amount of the investment. Amortization requires the analysis of many variables in order to create something that is fair, which means it may be easy to, at least initially, convince a court to look into the city’s analysis. This means actual money must be spent on a lawsuit. Will the city really use amortization rampantly when they know nearly every time they invoke it they are likely to be hit with multiple lawsuits? Maybe, but I think it is probably unlikely. CBR is a unique example of an area that is ready for increased development and land use changes, but is being held back by the abundance and concentration of one particular type of business. Whether you agree with it or not, adult businesses are undesirable neighbors to many residents and businesses. It is difficult to get a restaurant or other business that caters to pedestrian activity to be the first to jump into a block comprised of adult businesses. This might not be the case for a block comprised of other businesses. This particular corridor is a vital area for redevelopment and the concentration of a specific type of use is likely hindering growth. This is a unique situation that makes amortization particularly useful. The lack of this situation in many other parts of Atlanta and the likelihood of lawsuits make amortization an unlikely action to be repeatedly taken by the city in the future. Are you nuts? First, there are many great restaurants along CBR. So obviously there is no barrier caused by the adult businesses. Second, where are the pedestrians supposed to come from? There is not an any heavy-density residental area to supply the pedestrians. I agree there are many great restaurants, but I think most of them are concentrated on the north side of CBR and the ordinance is mainly concerned with the south side of CBR. Pedestrians could come from many places. CBR could be a great pedestrian connection between Lindbergh/Lavista and Piedmont. Sidewalks fronting parking lots and closed businesses are not conducive to pedestrian activity. Having an adult business is fine, but having multiple adult businesses that are dark for the better part of the day is not inviting to pedestrians. Perhaps the pedestrians that walk along Lavista or Lindbergh may be enticed to continue walking all the way to Piedmont businesses – places they would normally drive. People will easily find an excuse to drive somewhere when it is within easy walking distance; dark buildings and parking lots along a narrow sidewalk is a great excuse. The “south side” of CBR has Nakato, Woodfire, and many other restaurants right next to each other! Some shade would go much further in getting me to walk along CBR; I already do so regularly, and some trees along certain stretches would be very welcome. At night, the number of people on the sidewalks thanks to the clubs makes walking feel pretty safe.